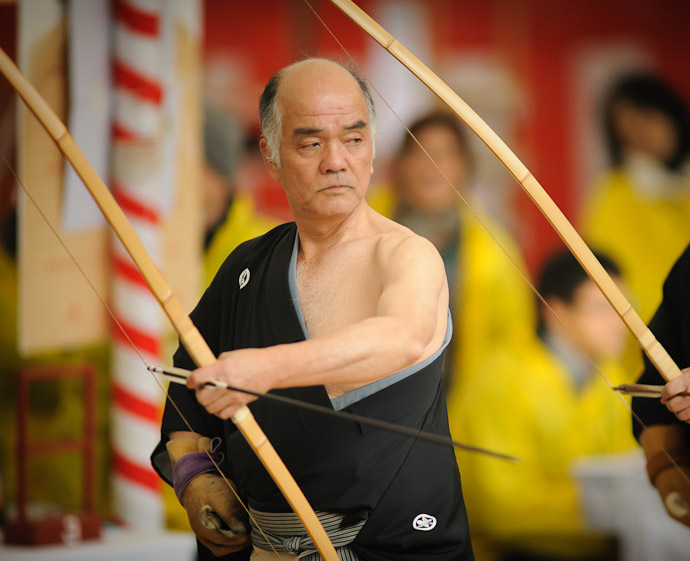 I went to the tooshiya archery event for the first time, held annually at the Sanjusangendo Temple in Kyoto today. The official name of the event is 「第62回 三十三間堂大的全国大会」. Mostly it's for ranked archers who have turned 20 years old this past year (and there were 2,132 that took part today), but this was one of a couple dozen instructors who got to shoot, and who ended up placing. Having hauled a massive lens around all day, I got home to find that I was more exhausted than I ever recall. After an hour's power nap and a hot bath, I've just enough energy for one photo. More certainly to come.